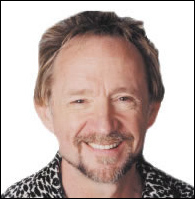 LIVERPOOL (CelebrityAccess MediaWire) — Former Monkee Peter Tork stopped in for a set at historic Liverpool club The Cavern on February 12th. Tork, a proficient musician in spite of the myths to the contrary surrounding The Monkees, switched between banjo, keyboard and guitar while singing Monkees hits such a I'm not your stepping stone, Daydream Believer and Last Train to Clarksville. Tork, who took his leave from the group in 1968 took exception to his portrayal in the Monkees television series as something of a dimwit who didn't play his own instrument. His band-mates have since described him favorably as a highly-intelligent and literate person in the press. Despite this courtesy from his band mates, the Monkees of late have taken a turn for the divisive. After a 30 year reunion in 1997 that included a new album "Justus", a television show and a reunion tour, all of which garnering unfavorable notice in the press, the band disbanded again, seemingly for good. However, Tork and his band Shoe Suede Blues are planning to release a an new blues-oriented album, Cambria Hotel — look for it to drop soon.